Get real-time paper quality readings with the Laser On-Line Formation Tester. Quickly detect changes in furnish or machine performance. 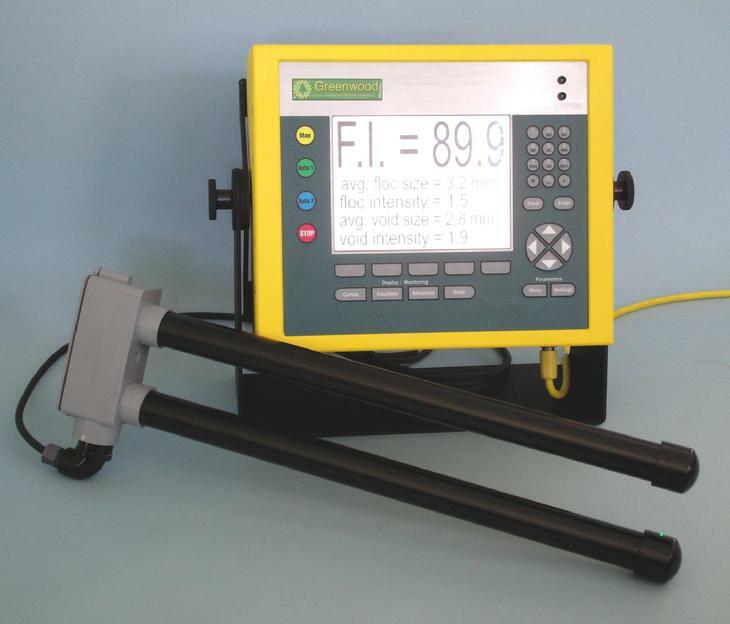 This on-line instrument not only gives an industry standard Formation Index but also performs a floc analysis; average floc size, floc percentage, floc intensity, and floc size distribution in ten size categories, also, average void size, void percentage, void intensity. Accurate formation readings start with a superior means of measurement. Some on-line formation sensors use a focused beam of light from a standard light source. The beam divergence from the light source causes the detector to see sheet flutter (variation of the distance of the sheet from light source) as a formation signal. This causes a false poor reading of formation. The heart of the measurement technique employed by the AccuForm On-Line Formation Tester is a laser beam. The highly focused laser beam has negligible divergence so that when the sheet distance from the light source changes there is no change to the light level that penetrates the sheet. The light sensor only detects the light that passes directly through the sheet and none of the light that is dispersed in other directions. Of those competitors that do use a laser beam, the wrong spectrum of light is used. Paper is highly transparent in the red and infra-red range of spectrum. This transparency will cause the sensor to be insensitive to small mass density changes of the paper and will be highly in-effective on light weight papers. The AccuForm formation sensor employs a laser light source spectrum that is most absorbed by paper and thus the most sensitive to changes in mass density. The AccuForm formation sensor is available in either an extended arm style that reaches up to 24 inches from the edge of the paper or a split probe is available for mounting to your existing scanner. Signal capture and processing is performed in a NEMA4 / IP67 rugged industrial computer that may be located near the paper machine. A full TFT LCD computer screen displays the Formation Index as well as the floc analysis details listeded above. This nearby wealth of information is of particular use when making adjustments to the paper machine. The processing unit may be networked for remote access of all data and importation to any process control platform.